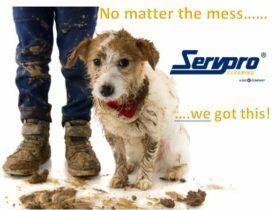 Welcome to Servpro Cleaning – Calgary’s trusted choice for home cleaning services. Serving Calgary since 1964, we have been your trusted whole home cleaning service provider for over 50 years. We’ve been here for Calgarian’s in good prosperous times and in tight economic times. With you in mind, we have redesigned our our website to give you more home cleaning options and the freedom to schedule services at your leisure. You can chose the level of services that meets your needs and your budget. Start with a base package (main floor only) and add in additional rooms and services. You can view your cart and place your order all right here. Go ahead, take a look around! Find out just how affordable home cleaning services are. You can trust our team of cleaning professionals to make your whole home clean and healthy. We are already in your community each and every week. Your time is valuable and you’ve earned it. Go on, live your dreams…. We got this! No need to worry – our staff are insured and bonded. Ask for our multiple services discount when you book more than three services.